CATARMAN, Northern Samar — A groundbreaking ceremony was held recently for the construction of a concrete road of 7.669 kilometers and three bridges at the municipality of Las Navas, Northern Samar to connect the province of Northern Samar to Samar province. “This is a concrete answer to the cry of the poor through the PAyapa at MAsaganang PamayaNAn (PAMANA) of the Office of the Presidential Adviser on the Peace Process (OPAPP) delivering government services through the construction of road network which will also answer the peace and order and security issues in the area,” said Regional Manager Imelda Bonifacio of OPAPP Eastern Visayas. Mayor Minda Tan of Las Navas said the project will benefit nine barangays whose mode of transport is partly by walking and by boat that takes around seven hours from the town proper to Brgy. Cuenco, but once the project is completed travel time by land will be reduced. “The groundbreaking of the road network that will connect Northern Samar to Western Samar is a validation of the national government’s commitment to bring development to this part of the country through infrastructure projects,” stressed Vice Governor Gary Lavin. “The collaborative support of the government and non-government agencies which seek to promote the peace building initiative undeniably will bring also tangible economic benefits to the people of the recipient communities both in Las Navas and Matuguinao,” Lavin said. Aside from the reduced travel time, residents will enjoy easy transport of their agricultural products and the children could go to school at a cheaper cost, said Lavin. “The deliverables of the government from national down to local services will be readily available to the barangays because of its accessibility,” Lavin added. 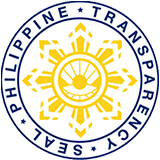 The project to be implemented by the Department of Public Works and Highways- 8 amounts to P197 million allocated in the General Appropriation Act for the Fiscal Year 2018.